Research Interests: N. Peter Armitage is a condensed matter physicist experimenting with 'optical' techniques to investigate complexed condensed matter systems. His current main interest includes the exotic electron states of matter at low temperatures. Other areas of interest include biological physics, nanostructures, physical chemistry, and quantum optics. Research Interests: Collin Broholm explores strongly correlated condensed matter using neutron scattering techniques. He studies quantum disordered phases in one dimension, and frustrated quantum magnetism in two and three dimensions. He is interested in systems with linked degrees of freedom such as strongly correlated magnetic superconductors and multiferroic materials. Research Interests: Robert Cava's research group searches for and creates new compounds, grows crystals, determines their crystal structures, and characterizes their electrical and magnetic properties. Areas of interest include new superconductors, dielectric, thermoelectric, magnetoresistant, frustrated magnets, and transparent conducting materials. Research Interests: The Raman spectroscopy group is focused on studies of charge and spin ordered ground states in strongly correlated electron systems. Our current aim is to investigate them with Raman spectroscopy to find general behavior for materials of different chemical origin (both organic and inorganic). 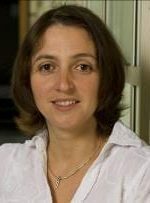 Research Interests: Koohpayeh is a materials scientist investigating the development, synthesis, crystal growth and characterization of different classes of novel and functional materials (e.g. electronic, magnetic, semiconducting, and topological materials). His current main interests include, bulk single crystal growth, understanding the nature of defects in crystals, and the structure-physical property relationships of emerging materials. Research Interests: Yi Li is a condensed matter theorist interested in exploring exotic quantum phases of matter and their organizing principles, particularly novel topological superconducting and topological insulating states, itinerant ferromagnetism, as well as non-perturbative analytic and quantum Monte Carlo approaches to strongly correlated quantum systems. Research Interests: Tyrel M. McQueen is a professor of chemistry, physics and astronomy, and materials science and engineering at the Johns Hopkins University, and director of the PARADIM Bulk Materials Facility. His research focuses on the synthesis, discovery, and analysis of new quantum materials, with a vision of their current and future utility. Research Interests: Satoru Nakatsuji is interested in developing new materials and their thin film form for spintronics and energy harvesting applications. Recently he has been focusing on developing new topological magnets that show unexpected functions at room temperatures. He is also working on the high-resolution measurements not only at room temperature but down to mK range to search for novel state of matter highlighting quantum entanglement such as exotic superconductivity and quantum spin liquids. Research Interests: Predrag Nikolic is a condensed matter theorist interested in strongly correlated electrons and ultra-cold atoms. His work is focused on trying to understand the unconventional phases and phase transitions of many-body quantum systems, especially the universal phenomena which do not depend on microscopic details and hence occur in a variety of different physical environments. The subjects of his research are ultra-cold atoms in the unitarity regime, high-temperature superconductors (cuprates and iron-based), topological insulators, quantum Hall effect, and frustrated quantum magnets. Research Interests: My lab specializes in magnetotransport and ultrasonic measurements in extreme magnetic fields - up to 100 tesla and beyond. Magnetic fields of this magnitude allow us to induce new phases of matter in metallic and magnetic systems, suppress competing phases such as superconductivity, and to make detailed measurements of the electronic structure in metals. We also employ unique experimental techniques such as resonant ultrasound spectroscopy - a technique that gives unprecedented symmetry information about correlated states of matter. 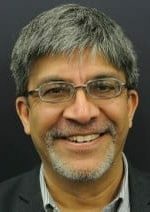 Research Interests: Nitin Samarth is broadly interested in understanding the fundamental behavior of spin in quantum materials, with a view toward discovering emergent phenomena and developing ‘spintronic’ technologies for processing, storing and transporting quantum information. Research Interests: Oleg Tchernyshyov's interests lie in the area of magnetism and magnetic materials. He works on a variety of systems ranging from geometrically frustrated ferromagnets to magnets on the nanoscale and artificial magnetic arrays. These diverse systems are unified by a common theme: dynamics of magnetization is often mediated by nontrivial magnetic textures known as topological defects: vortices, skyrmions and spinons to name a few. Research Interests: David Vanderbilt is a computational materials theorist known for making methodological advances in electronic structure theory. His interests span dielectric, ferroelectric, piezoelectric, and magnetoelectric materials; interfaces and superlattices; the theory of electric polarization, orbital magnetization, and anomalous Hall conductivity; and the search for and understanding of topological quantum materials.